Quitting smoking is no easy task, and staying tobacco free is difficult as well. 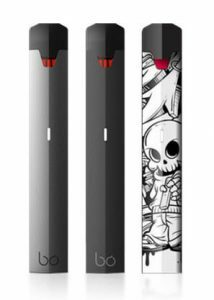 Products like the BO One vape kit are aimed at catering to the needs of smokers and former smokers. It simplifies vaping down to a simple draw. With all the complicated choices on the market, pod mods evolved out of desperation. Not everyone wants to spend hours learning about building coils, battery safety, and sifting through thousands of e-liquid flavors. It can be overwhelming. That's exactly where the BO One comes in to save the day. 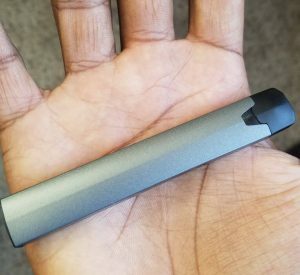 The BO One vape is a sleek looking device. It has an elegant design that gives of an aura of sophistication. I am by no means “sophisticated,” but this little vape had me feeling like I was an intelligent vaper. A lot of people view vaping as a counter-culture activity due to the propaganda and stereotypes. The reality is, anyone and everyone who has ever been a smoker can benefit from transitioning to vaping. The negative propaganda on vaping is turning people away who could reduce the harm they're doing to their body. 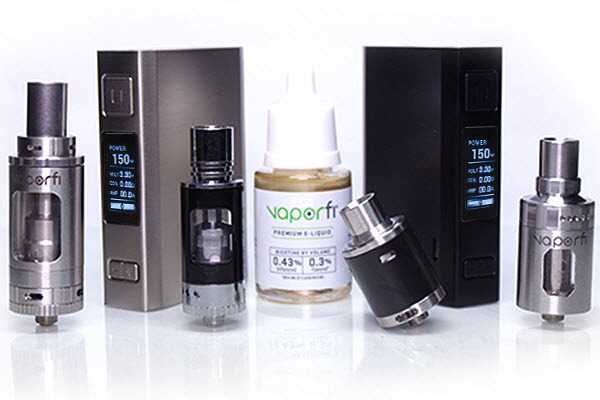 This device helps to combat the negative view on vaping. It doesn't have a skull and crossbones on it or some graffiti and flames. It's plain, simple, and has some details that make it look sleek and sophisticated. The line going down the middle of the device reminds me a nice crease in a pair of dress pants. I like the vibe. If you carry this device, you will look the part when you pull it out. The first day I got the BO One, my wife took it and started recording herself using it on her Snapchat with soft music in the background. She loves it! Get the Bo One and experience simplicity. The BO One vape probably isn't a good fit for everyone. However, it is a really good fit for several different situations. If you are still smoking but you're thinking about making the switch to vaping, this is a good device to consider. It's really good for smokers because of it's ease of use and nicotine strength. The pre-filled pods are 3.5% nicotine (35mg/mL). In the world of vaping, that's pretty strong. An e-liquid of this strength or more will feel much closer to a cigarette than your average 1.2% (12mg) vape juice. You will only need to take a few draws to satisfy the nicotine craving. The BO One vape is also good for current vapers who are sick of fiddling around with a bunch of moving parts. Sometimes you just want something simple. It doesn't mean you have to throw away all of your old gear, but it's nice to have the option to simplify your life. It's especially nice when traveling. A lot of vapers are using pod mods, like the BO One, for their daily carry. It just makes life so much easier. One of the best things about the BO One kit is how easy it is to use. All you have to do is slide the pod into the base and take a draw. That's it! Mine already came partially charged, so you might not even have to charge it at first. Just put the pod in and you're ready to roll. It doesn't get much easier than that. Eventually, you will need to charge the battery. When that time comes, I'd recommend using your computer to charge it. You can also use your cell phone base, or any power source that has a USB as long as it's not more than 1A. Chargers usually have this information on the little sticker. When in doubt, use your computer to charge it. The charger is standard for a pod mod. If you're the adventurous type, you may get the itch to refill your pods. I haven't tried it yet, but there are usually some videos on YouTube that explain how to refill pods. Do so at your own risk! The BO One pods come in five different flavors: Kiwiberry Ice, Frsh Mango, Jelly, Fresh Cut Tobacco, and I See Mint. Crazy names, I know. What in the world is a “Jelly”? I guess they decided to take the creative route, which I'm not too enthused about. I think the names of the flavors should be self explanatory, but what do I know. At least the flavors themselves are better than the names. The starter kit comes with two Kiwiberry Ice pods. I like that the flavor isn't overwhelming. There's nothing worse than overly flavored e-liquids. BO Vaping did good with the flavors. They're subtle and delicious. So now that we know that the BO One vape is easy to use and packs a nice nicotine punch, one question remains. How does it perform? Let's start with the draw. Taking a draw from the BO One is more similar to taking a hit off a cigarette than using a vape pen or mod. It has a nice tight draw. It's definitely a mouth-to-lung (MTL) device. You'll be able to get nice clean draws off of it. It fires pretty smooth and consistently. The battery life is pretty good, but not great. Depending on your vaping style, it may last you the whole day. If you're a heavy vaper, it'll probably last around a half day. The battery is 380mAh so it charges pretty fast. The throat hit is one of my favorite parts about the BO One. It packs a nice little throat thump. It's not overwhelming and it's not too light. It doesn't quite pack the punch of a cigarette, but it's not far from it. Trying to mimic the throat hit of a cigarette is hard to do with vaping. But the BO One gets darn close! If you're looking to quit tobacco or stay off of it, then the BO One is a device that should be given some serious consideration. It's a real contender for a cigarette-like experience. The small form factor, tight draws, and strong throat hit combine to make one helluva device. The BO One gets two thumbs up from me without hesitation. After taking my first hit from it, I felt it nearly instantly. It's a great way to deliver nicotine to your body fast. Traditional mods may take 10+ puffs. But this little mod only requires a few draws to get the nic your body craves. 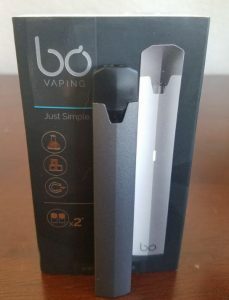 If you buy the BO One Vape, I have a feeling you'll be happy with your purchase. Pack a day smoker turned vaper. I'm a better man to my family because of it.